Inequality is more than just economics, it is the culture that divides and makes social mobility almost impossible. 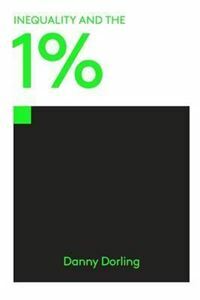 Leading geographer Danny Dorling goes in pursuit of the latest research into how the lives and ideas of the 1% impact on the remaining 99%; and the findings are shocking. Inequality in the UK is increasing; more and more people are driven towards the poverty line. Even before birth, being born outside the 1% will have dramatic impact on the rest of your life: it will reduce your life expectancy, educational and work prospects, as well as your mental health. In this book, filled with illustrations and infographics that bring the facts to life, Dorling convincingly proves that the cost of the super rich is just too high for us.